A classic cottage heirloom, Hollyhock Black (Alcea rosea) will add a stately air of mystery to your garden. 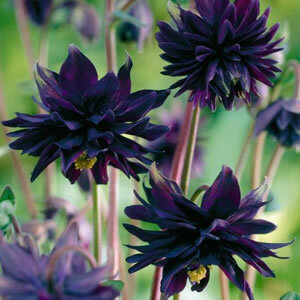 Tall spires featuring deep burgundy to black flowers will attract bees and butterflies for a long period in Summer. Prefers a full sun position in well drained soil. Would benefit a sheltered position or staking to maintain an upward growth habit.